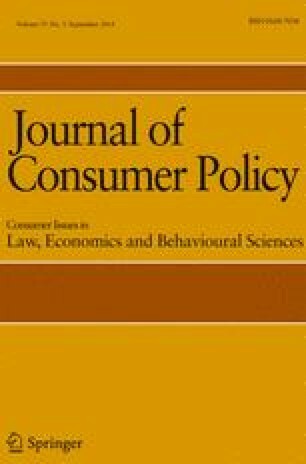 Utilizing theory and empirical insights from psychology and behavioural economics, this paper examines individuals’ cognitive and motivational barriers to adopting climate change adaptation and mitigation measures that increase consumer welfare. We explore various strategies that take into account the simplified decision-making processes used by individuals and resulting biases. We make these points by working through two examples: (1) investments in energy efficiency products and new technology and (2) adaptation measures to reduce property damage from future floods and hurricanes. In both cases there is a reluctance to undertake these measures due to high and certain upfront costs, delayed and probabilistic benefits, and behavioural biases related to this asymmetry. The use of choice architecture through framing and the use of default options coupled with short-term incentives and long-term contracts can encourage greater investment in these measures. Support for this research comes from the National Science Foundation (SES-1061882 and SES-1062039); the Center for Climate and Energy Decision Making through a cooperative agreement between the National Science Foundation and Carnegie Mellon University (SES-0949710); the Center for Risk and Economic Analysis of Terrorism Events (CREATE) at the University of Southern California; the Center for Research on Environmental Decisions (CRED; NSF Cooperative Agreement SES-0345840 to Columbia University), and the Wharton Risk Management and Decision Processes Center. We thank the referees for helpful comments and Carol Heller for editorial assistance. Mills, B.F., and Schleich, J. (2008). Why don’t households see the light? Explaining the diffusion of compact fluorescent lamps. Working paper sustainability and innovation, No, S1/2008, http://nbn-resolving.de/urn:nbn:de:0011-n-84564.